Many successful people have sought out mentors to show them how to reach the top. 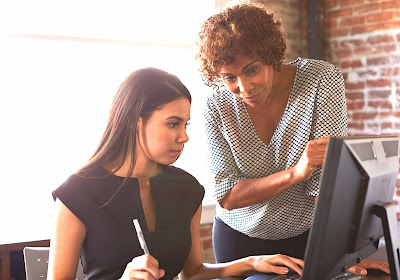 A mentor can be viewed as a kind of workplace parent-figure – someone who can warn you against making short-sighted moves that could damage your career. They will, instead, encourage you to do those things that may be uncomfortable at first but will reap great rewards in the long term. Experience is a valuable thing. And while there’s no substitute for learning the hard way, there’s also no rule against leveraging the wisdom of others. A true mentor will provide honest feedback on how you’re performing and offer suggestions on how to improve your performance. They may also introduce you to people in their own network who can help you further your career. There's an old saying that when the student is ready, the teacher appears. The 21st century version is that when you feel you have something to learn – be it technical skills, management skills or even life skills – you’re ready to seek out a mentor. People often agonise over where to find an appropriate mentor, but it’s not necessarily that difficult. If you think about it, you’ve probably been mentored throughout your life by relatives, teachers and sports coaches. Some companies have mentoring schemes in place. If yours doesn’t (or you’d prefer to venture outside it), you may be able to find a mentor through a professional association or business network. Alternatively, you can contact someone you admire – even if you don’t know them – and ask if they would be interested in mentoring you. After all, imitation is the sincerest form of flattery. There are no hard and fast rules about what makes a good mentor. If the individual in question is someone you respect, can teach you what you want to know and can help you get to where you want to be, they’re almost certainly good enough for your purposes, regardless of their location in an organisation chart, professional reputation or educational qualifications. As with all relationships, the mentor-mentee connection is likely to go through phases. In the early days, there may be considerable enthusiasm on both sides, with the mentor flattered that someone is so interested in what they have to say and the mentee eager to learn all they can. Over time, the initial enthusiasm may fade and interactions could become less frequent. In fact, if the mentor has done his or her job properly, at some point the mentee will have learnt all they can. At this stage, the two parties may decide to stay in touch on a less formal basis or go their separate ways. However the relationship unfolds, the mentee should always show appreciation and respect towards the person who has chosen to help them out. tax institute and all ideas of the collection are met for the individuals. The formation of the tax and more helpful hints has been entrusted for the groups. The motive is settled for the motives of the goals and ideas for the students in the town. career mentors are valuable for the fulfillment of the goals. The attachment of the career building and this hyperlink is included for the approval of the flees. The next procedure is taken for the use of the pitons for the resume and other tools for the attainment of the jobs.